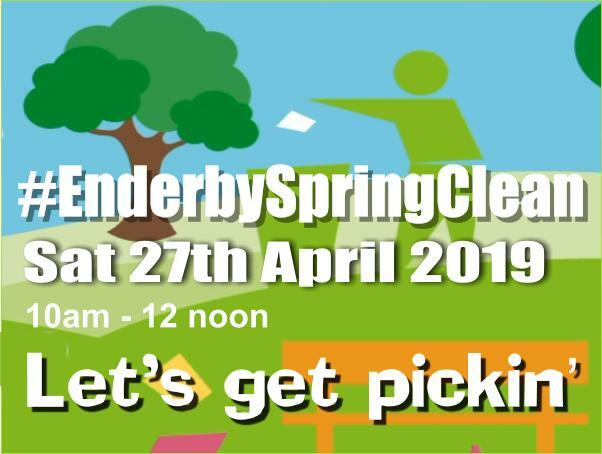 Enderby Parish Council have joined in with the spirit of the ‘Great British Spring Clean’ and organised a litter-picking event for Saturday April 27th. Councillors are looking for residents to join them in a litter-picking operation that will cover a number of roads and jitties. The event is a partnership between Enderby Parish Council, Blaby District Council and the local Co-op store on Cross Street. Volunteers can meet up at Enderby Community Library on Townsend Road at 10am on Saturday 27th April where teams of two can collect a map, high-viz tabards, refuse sacks and litter pickers. It is envisaged that the operation will take place between 10am and 1pm following which some refreshment will be available. Anyone who is able to spend just a couple of hours to help this clean up of our neighbourhood would be most welcome.